Laughter, learning and long-time friends were a few of the things found at the Linwood YMCA S.T.E.A.M. Week. 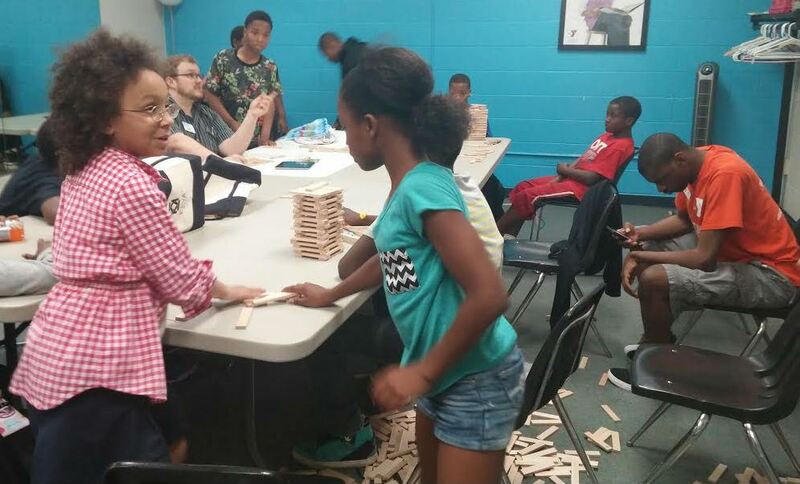 Recently, the Linwood Y had their annual S.T.E.A.M. Week. Kids from the community gathered together to learn about science, technology, engineering, arts and math. The youth were given the opportunity to create, build and think in ways that are unfamiliar to many kids. They had to think critically in order to produce animated videos and construct masterpieces. Throughout this week, they learned to shoot for the stars and that no dream is too far out of reach. None of this could have been possible without their wonderful volunteers and partners: Nelson-Atkins Art Gallery, Kansas City Digital Media Lab, Kansas City Public Library, Matt Mann, Parkville Y-KEVA blocks, Lucky Eastwood-Renowned Artist, AmeriCorps and their summer interns. If you would like to be a part of S.T.E.A.M. Week or another YMCA event, please contact us at outreach@thecallkc.org.